We have already built home storage servers out of a few cases that weren’t designed for it. All have done the job and done it well, considering. 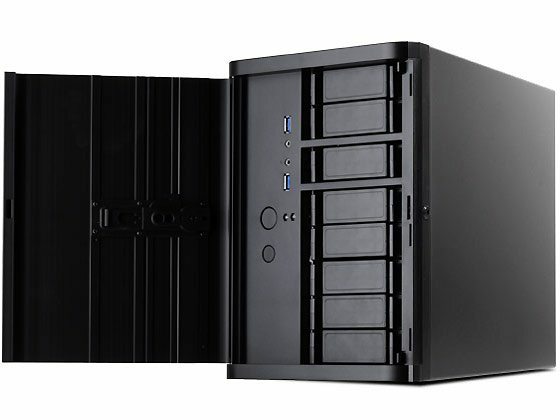 To date, we have had only one case in the lab that catered specifically to a NAS build, the iStarUSA S-915. With the DS380, SilverStone hopes to be the number one pick for your NAS build. What sets this case apart from that of the S-915 is that this case is intended for the home/enthusiast user whereas the S-915 is an industrial intended chassis. 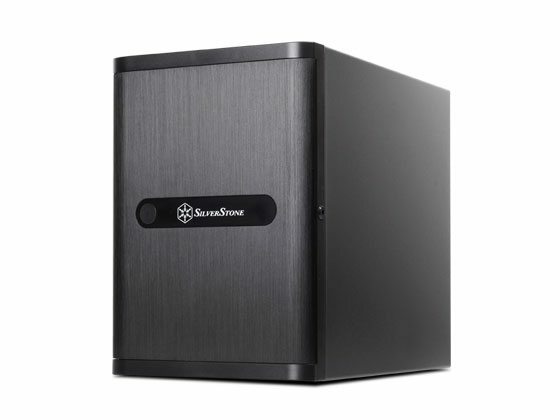 First, the DS380 is designed specifically for NAS and storage applications out of the box without the need to buy additional equipment like hard drive cages. This means that the case ships with the ability to house up to 12 total drives (8 are hot-swappable 3.5″, 4 are internal 2.5″). It has plenty of cooling, a locking front door, and it can accommodate a mini-ITX motherboard. The case measures just 211mm x 360mm x 285mm, sports plenty of connectivity, and is constructed of plastic, SECC and aluminum.